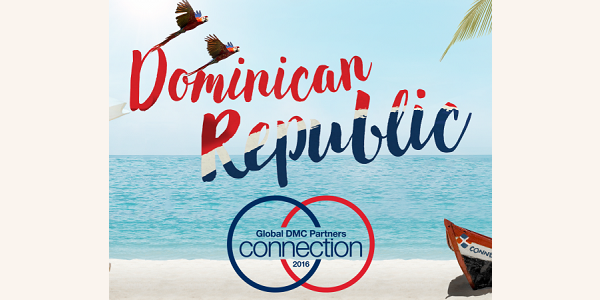 This weekend our very own Kim Hester served as a Panel Member for Global DMC Partners Third Annual Connection, hosted at the Hard Rock Hotel & Casino Punta Cana, Dominican Republic. Global DMC Partners is a consortium of Destination Management Companies (DMC) from around the world. Continuously staying up to date on current trends, world events and connecting professionals in the Meetings and Incentive Travel industry with quality DMCs, helps Event Management companies like JNR produce the most exclusive and unique programs possible. This weekend Global DMC Partners hosted their Third Annual Connection, an event dedicated to bringing together Meeting and Incentive Planners, DMCs, and other program contributors from around the world to share industry best practices, challenges and thought-provoking insights for innovation. This year, JNR Senior Account Executive and member of the GDP Advisory Board, Kim Hester, took part in panel discussions that ranged from finding new and beautiful destinations, capturing the “wow-factor” in every experience, managing budget and currency concerns, the latest technologies to tips on ensuring safety remains a top priority in the wake of world events, such as the Zika Virus. JNR is proud of Kim’s involvement in Global DMC Partners and the entire Meetings and Incentive Travel industry. Her travel expertise is unmatched, and we couldn’t be happier to have her on our team! If you’re interested in a Meeting or Incentive Travel Program for your company, or if you would like to learn more about industry trends, click below! JNR Incorporated is a globally recognized leader specializing in creating custom programs that motivate, engage and reward the employees, customers and channel members of our Fortune 1000 clients. For over 35 years, JNR has designed and delivered a comprehensive suite of solutions including incentive travel, prepaid reward and gift cards, meetings and conferences, events and entertainment, technology solutions and marketing communications. Our programs produce measurable results and are proven to increase performance, loyalty and revenues. Next Next post: Celebrating the Land of the Free and the Home of the Brave!